This party was inspired by a Kentucky Derby Lily Pulitzer print. The client requested bright greens, hot pink and pops of gold for a sophisticated, fun look. 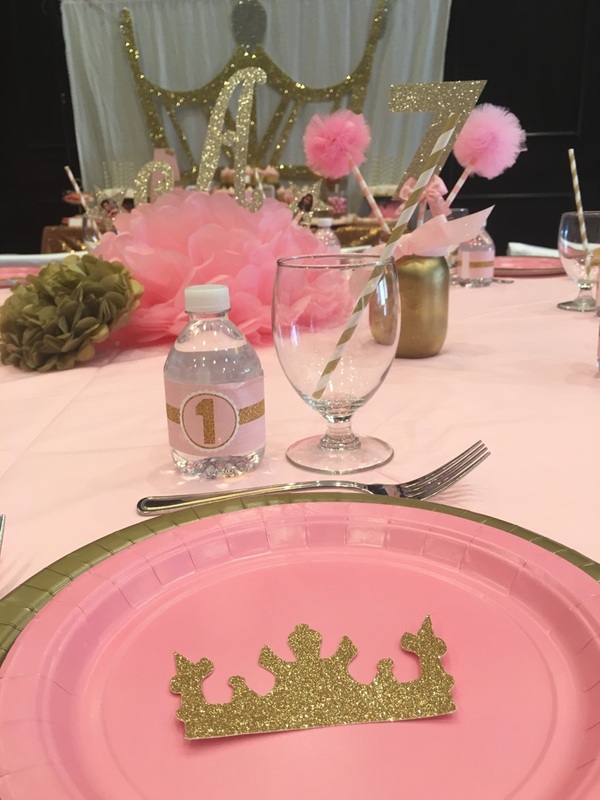 All centerpieces were cut on a Cricut Explore machine and assembled by hand. This was such a fun party to style! I have always been a HUGE Star Wars fan so the opportunity to style this party was a dream come true! They even had a real life size R2D2 there courtesy of a family friend. In honor of May the 4th Be With You aka Star Wars Day, check out pictures from this awesome Star Wars inspired party and scroll to the bottom to download your FREE Star Wars water bottle labels! 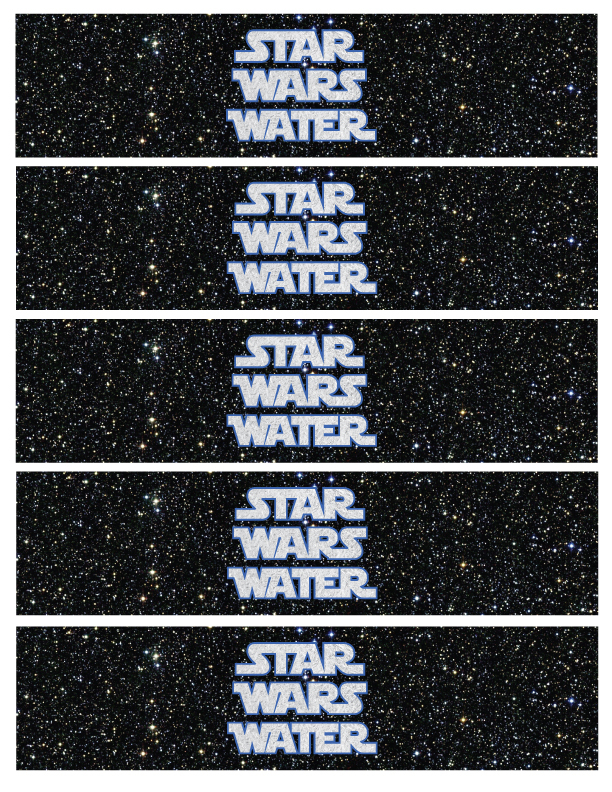 Download the Star Wars water bottle labels by clicking here! 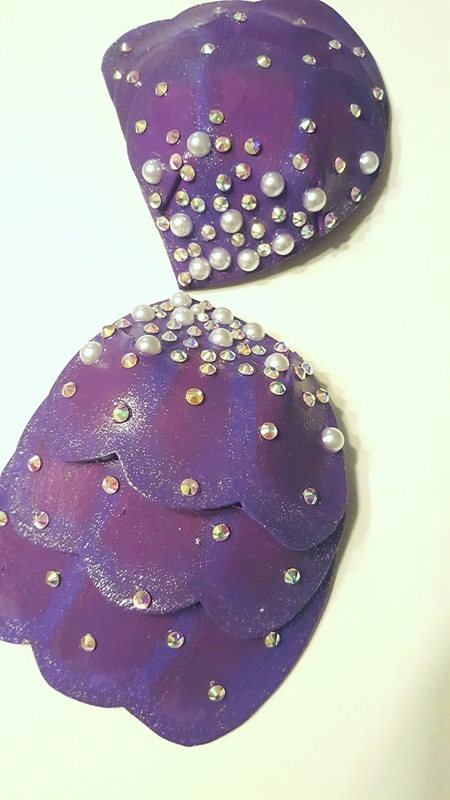 Learn how to make this beautiful mermaid top for less than $15! First trace the shape of your bra or bathing suit top on the craft foam to ensure the foam will cover the top. 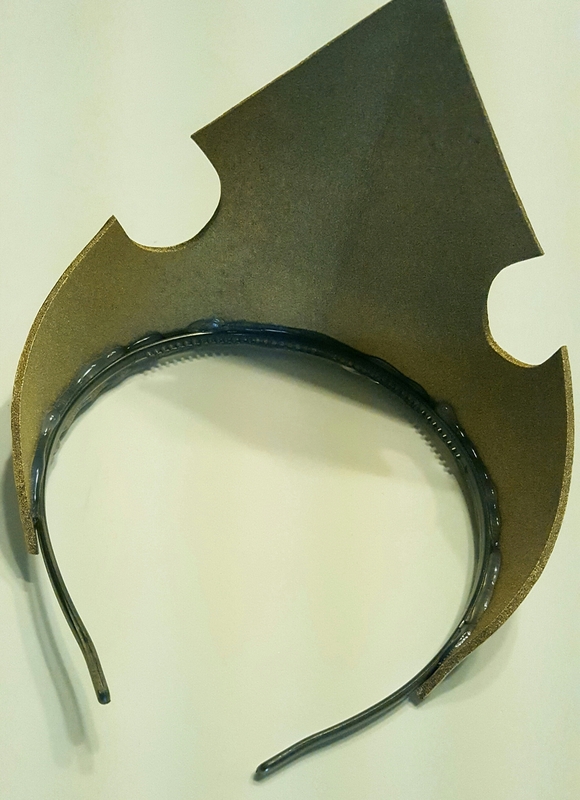 I added a scalloped edge to the larger side as shown below. 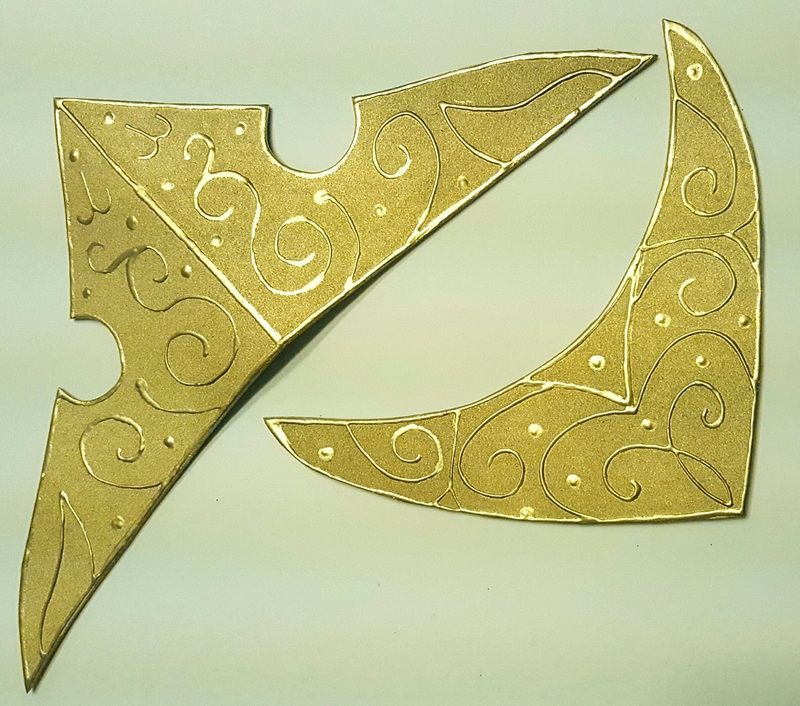 I drew two smaller shapes as well, all with the scalloped edge. When we’re done, all three pieces will be stacked together to create the final piece. Also note the lines I drew. These were cut and layered on top of each other to create the curved structure. 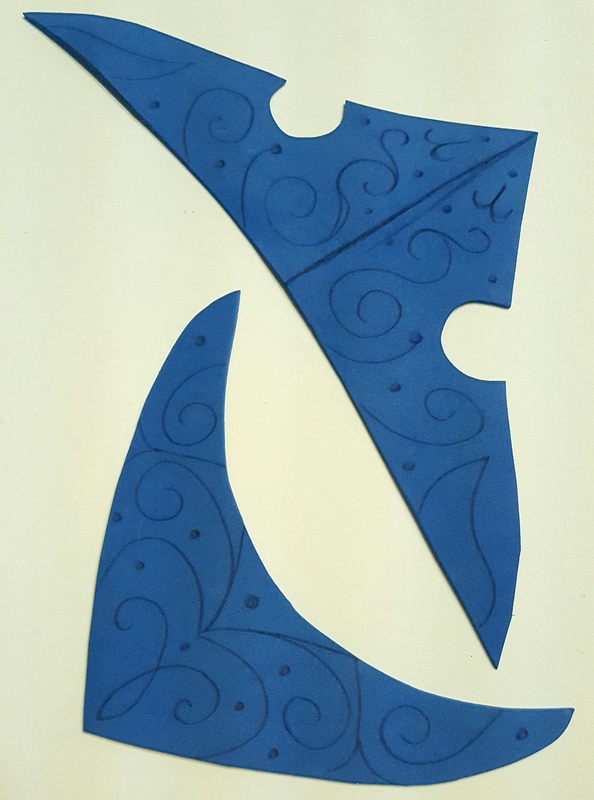 See the fully cut out and scalloped pieces below. Next, hot glue the slits, placing one layer over another. It should make a nice curved shape. Once all three have been glued, stack them on top of each other and glue them together. It’s important that each shell faces a different way (as shown below). Otherwise they won’t fit well on your top! Now it is time to paint! This is where your creativity will really come in. I painted each shell (front and back) in one shade of purple to give it a great base. I then went in with a darker purple to define the edges and the shell lines to connect the dip in the scallops. 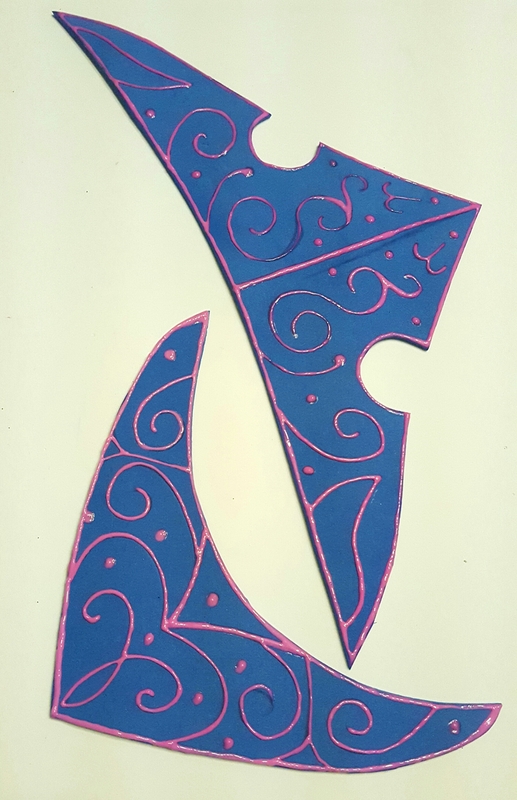 I painted a brighter, more vibrant purple on the inner part of each circular piece. 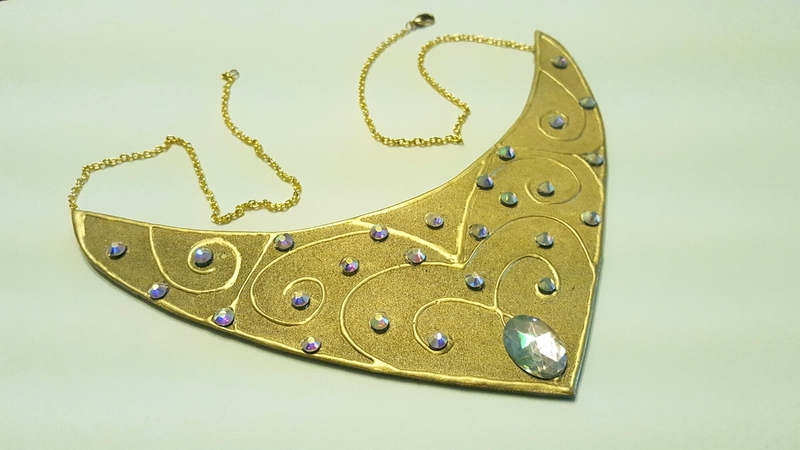 Lastly, I painted silver glitter paint on the edges of each shell, the very center corner and the lines. See below. Finally, it’s time to attach the shells to the bra/bathing suit top. E6000 doesn’t dry instantly but has a strong hold. Hot glue dries quickly but can sometimes peel off. I used a mixture of the two to fix the shells to the bra top. I used E6000 toward the center of the shells and then hot glue around the outside to quickly secure the edges. 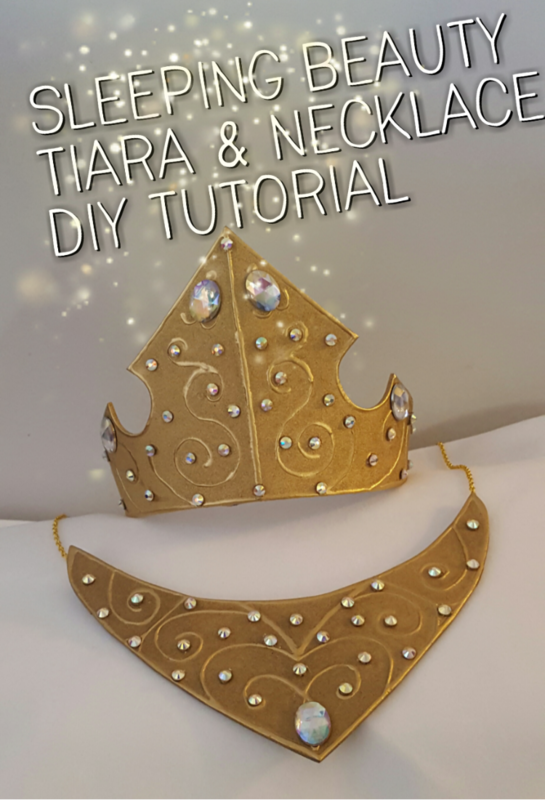 I also went through with hot glue and added more pearls and rhinestones to the center of the bra top to give it a seamless look. And tada! You now have your very own, thrifty and beautiful Ariel inspired mermaid top. I’d love to see pictures if you made one yourself! 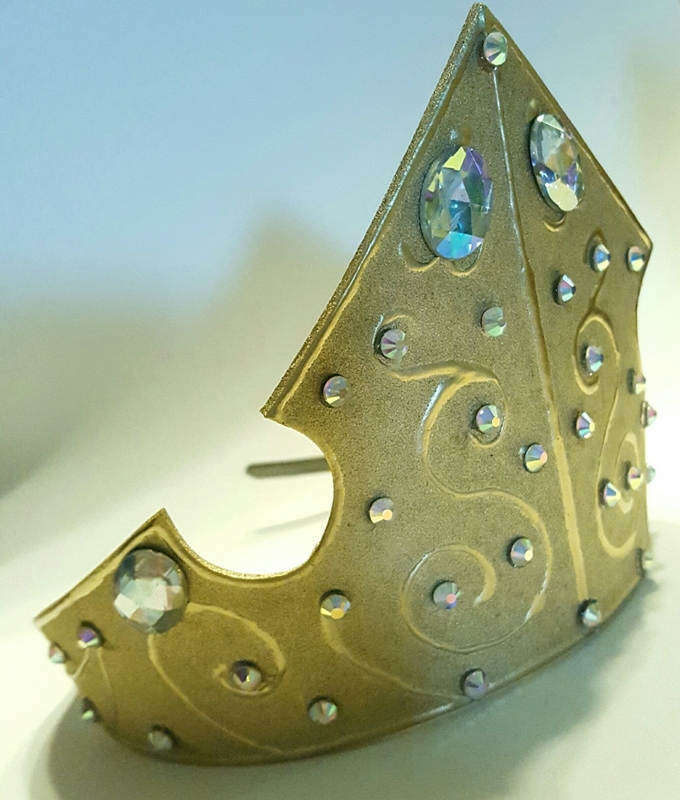 Tag #PartyByAPrincess with your projects, email me at kayla@partybyaprincess.com or share in the comments below. 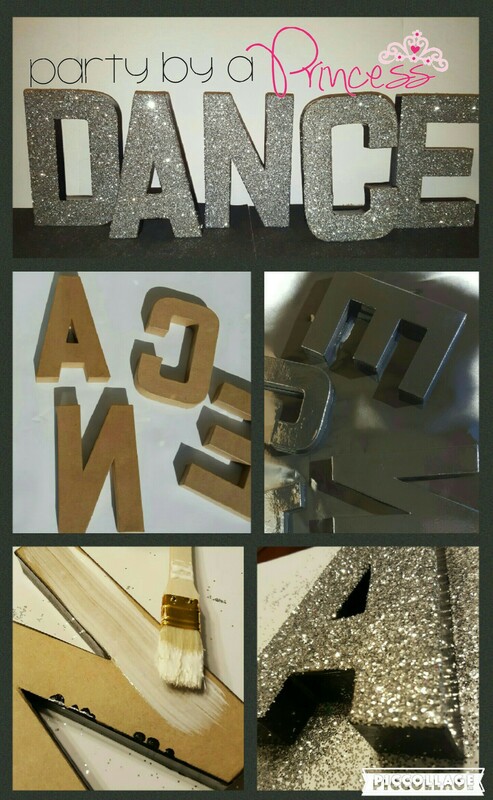 We’re in LOVE with the look of these sparkle letters! They’re so thrifty and easy to make, learn how to spell out words for your party theme. First, lay the letters face down, so they should look backwards to you. Spray paint them in your base color, we chose black. Let them dry overnight. Next paint Modge Podge on the unpainted side. Use a generous amount. Sprinkle on your chosen color of glitter and then shake off the remaining glitter. 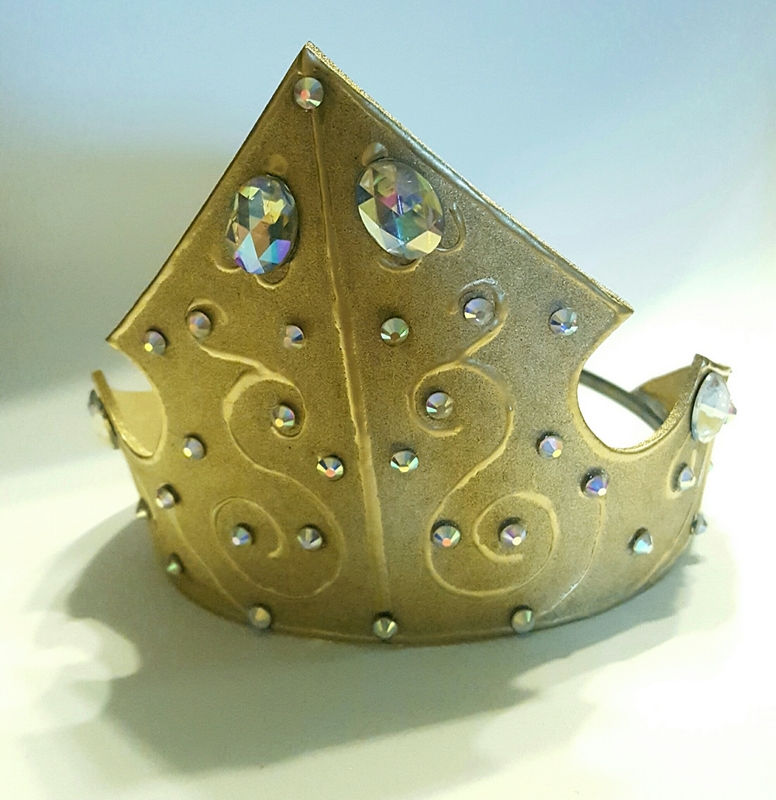 For added security, you can add another layer of Modge Podge over top to keep loose glitter from falling off. And voila! You have your own set of adorable letters to add sparkle to any occasion! 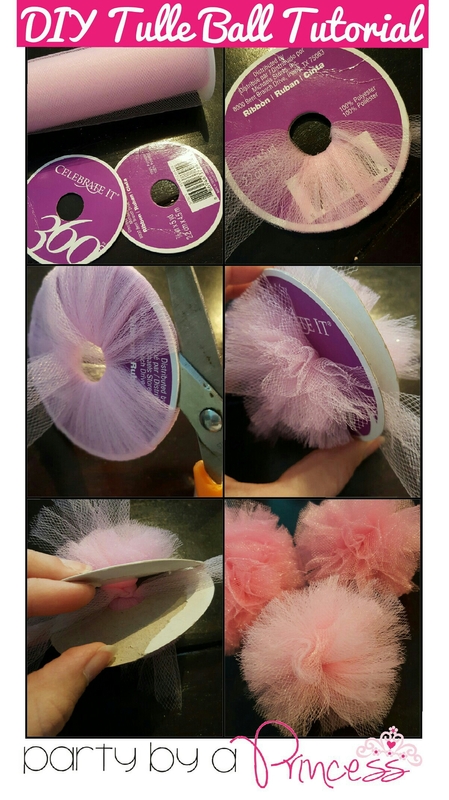 Tulle balls are so easy and cheap! Plus they make an adorable accent to any centerpiece or girly party themed decor. I recycled an old spool from some half inch ribbon I recently used up. 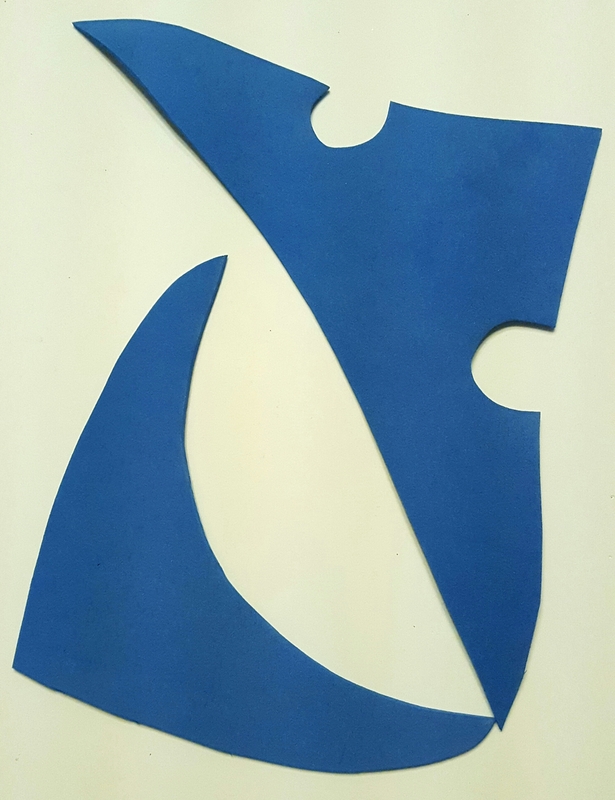 I ripped the two larger circles off to create two flat donut shaped pieces of cardboard. To make a tulle ball you simply wrap the tulle around as shown above until all of the cardboard has been covered up. The thicker the better! 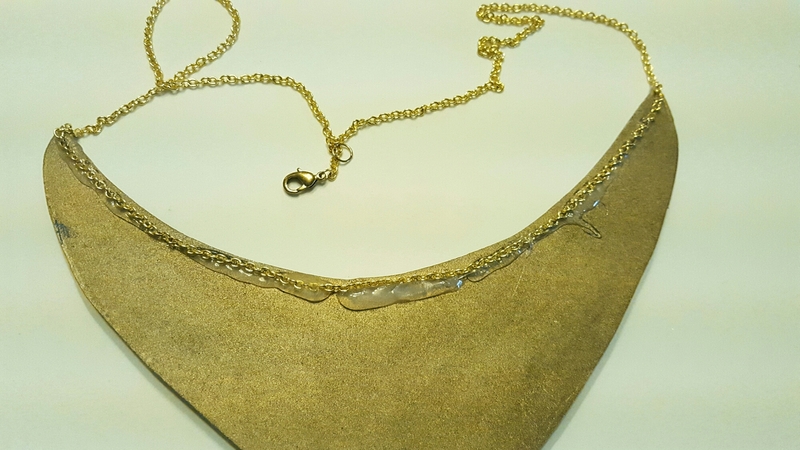 Once complete, you carefully cut the edge around the outside circle, be careful not to lose the end of the tulle! Run a small bit of tulle, maybe 6 inches or so, in between the two pieces of cardboard, without completely pulling the tulle off! VERY IMPORTANT! Tie it securely and then slide the pieces of cardboard off. Trim the tulle to ensure it’s all the same size and you’re done! Glue these to dowel rods or colored paper straws or hang from the ceiling with fishing line, tulle or ribbon. The possibilities are endless! The bigger the cardboard the bigger the tulle ball. I was able to make 20 out of one single roll of $3 tulle and it really only took an 30 mins. Such a quick, cute and thrifty decoration.